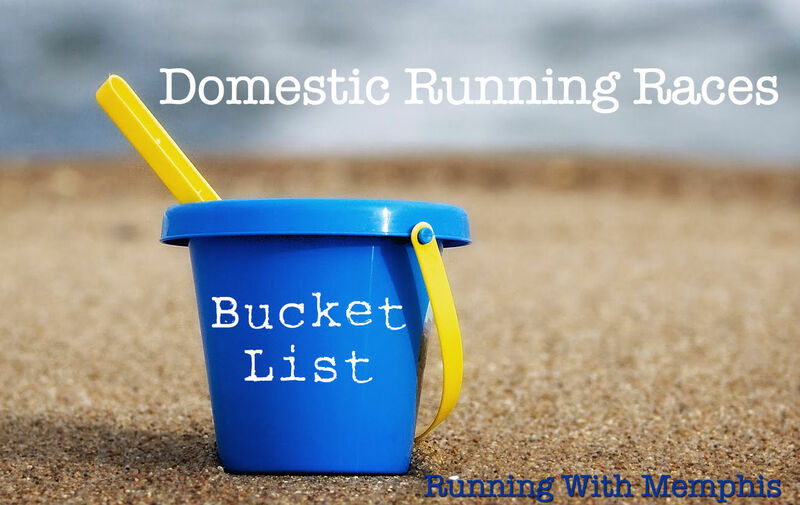 When thinking about my bucket list races for running races, I thought it best to split them up into domestic and abroad categories as there are simply too many races! So without further a do…. Boston is where I first learned about endurance sports and how perfectly sane people woke up at 5am to run along the Charles River and called it fun! I ran my first true race there, the Boston Run to Remember, 5 miler. My friend Jenny did the half marathon as a “training run” and I thought that was just insane. Little did I know about myself! Of course, Boston is a globally recognized event worldwide and I would love to qualify for it one day…ahh one day. Here’s to Heartbreak Hill! Run the Strip at night, with all of the lights, drunks and no cars, yes please! What’s even better are your choices for two distances: 13.1 or 26.2. (depends on how much partying your’e planning on doing). While this race had a terrible first year, no medals for a lot of people, people throwing up, and congestion, these issues seem to be resolved and I’ve heard only good things since. Who doesn’t want to run with multiple Elvis’s and see people get hitched while running?! The name says it all! 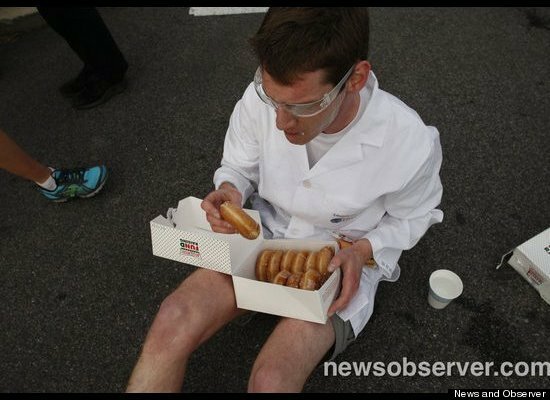 In 2004, several NC State guys got together and challenged themselves to running and eating doughnuts at the same time, yup sounds like something college guys would do! I remember knowing some people going to Raleigh to do this race when I was in school at Elon and thought it was a great idea minus the running! Since then, the race has grown exponentially, capping itself at 8,100 people! The Challenge: 5 miles, 1 hour, 12 doughnuts and 2400 calories! Will probably need to “warm up” before hand to truly earn 12 doughnuts! Stop, The Sign is On! 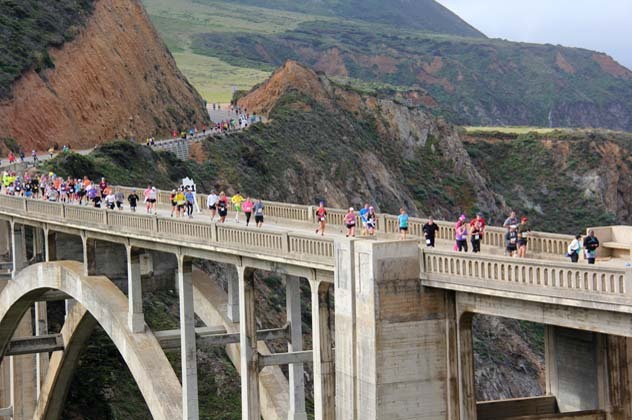 Held on the weekend following the Boston Marathon, Big Sur is challenging but has beautiful scenery to take away the pain (hopefully). The ocean is on your left and the mountains on your right. 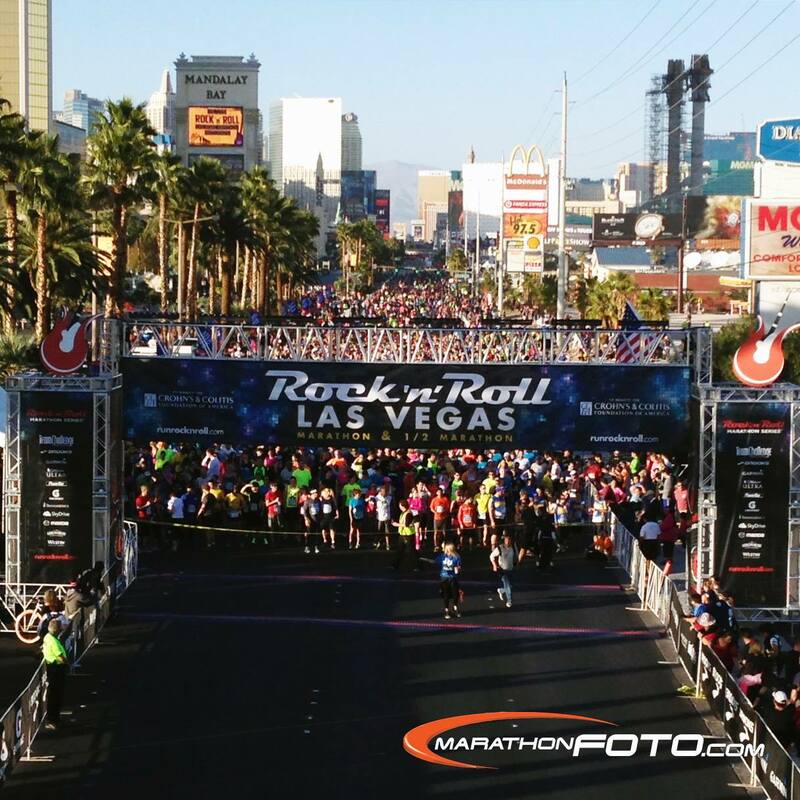 This race always makes lists for best marathons and destination races. I think it would be a great way to see California! Iconic, point-to-point race going through all five New York City Burroughs certainly put this race on the domestic bucket list. 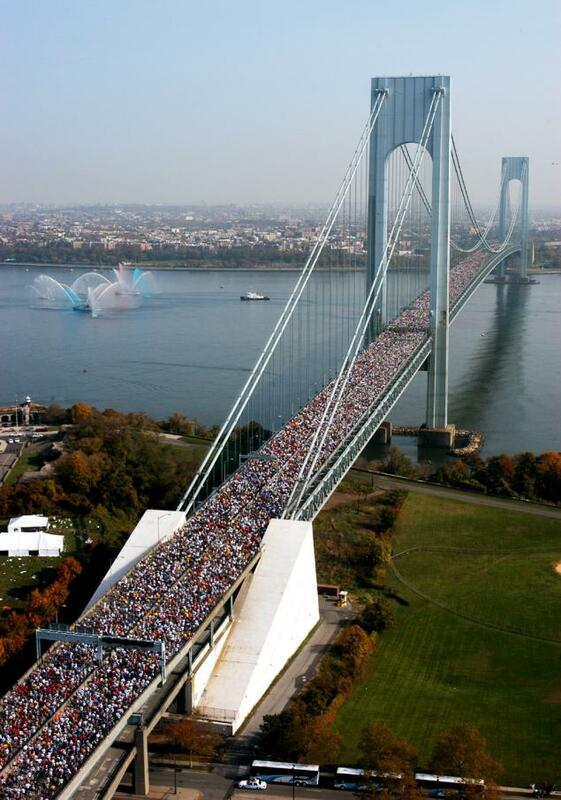 Similar to the Boston Marathon, NYC gets fully behind this event which was even bigger this year due to Superstorm Sandy’s cancellation in 2012. 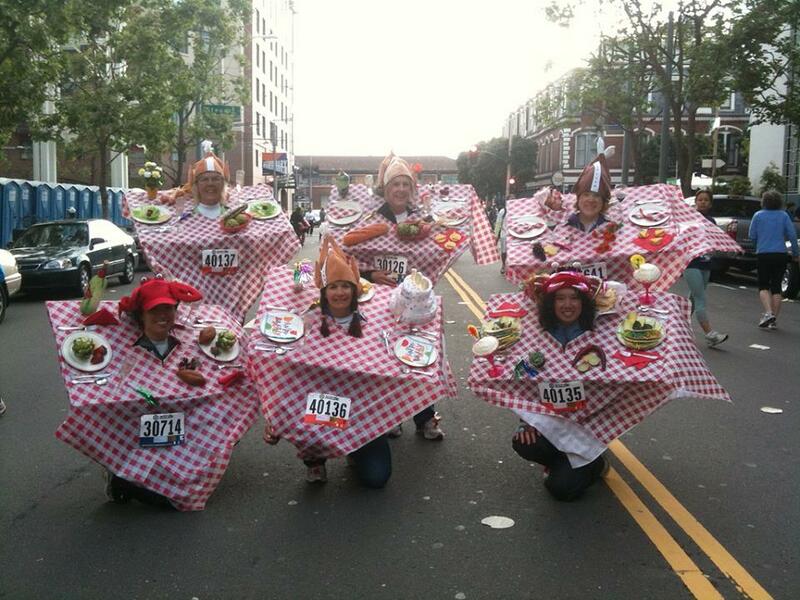 Grandma’s is a must-do for most marathoners. 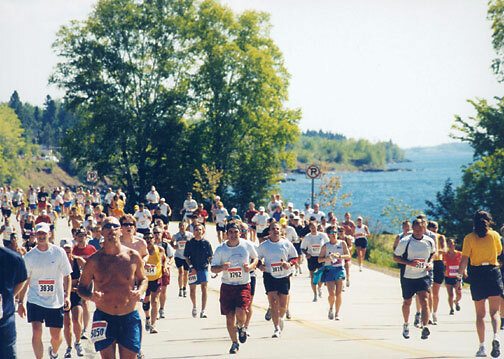 Its the 13th largest marathon in the US and has been around since 1977 when a couple of guys wanted a scenic road race. 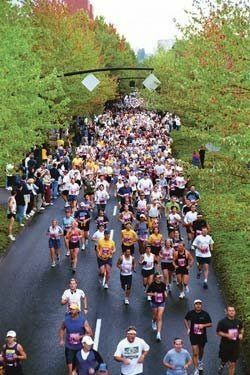 Its grown since 150 people first did Grandma’s into a prominent, nationally recognized road race. Probably the only reason I’ll ever go to Minnesota. Running along side strong Marines, check. 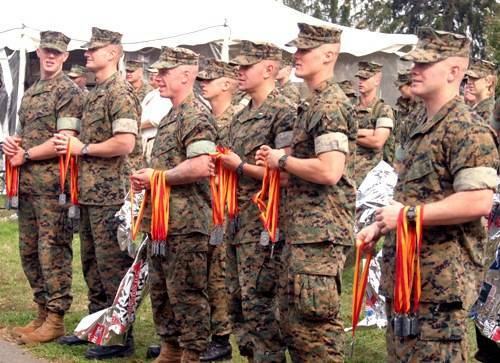 Given your medal by a handsome Marine, check. History and support for the armed forces, check. The Marine Corps Marathon was in jeopardy this year of not happening when our lovely government was shut down but fortunately, some DC politicians who also are runners, helped get things moving and the race was on as scheduled. Like most large races, the MCM has a lottery to get into but its worth trying for. 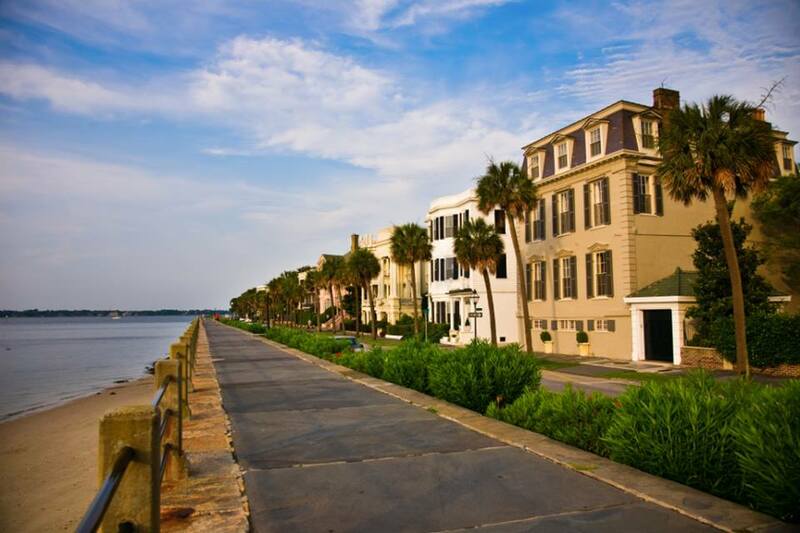 I’ve always loved Charleston, SC for its history, low-country setting and food. This 4th year race is in January (I love cold running!) and features free shrimp and grits and beer post-race! Its a scenic run that has several distances which makes it easier for friends and family members to get on board as well. Plus, the fees for the race are very reasonable even as you get close to race date. 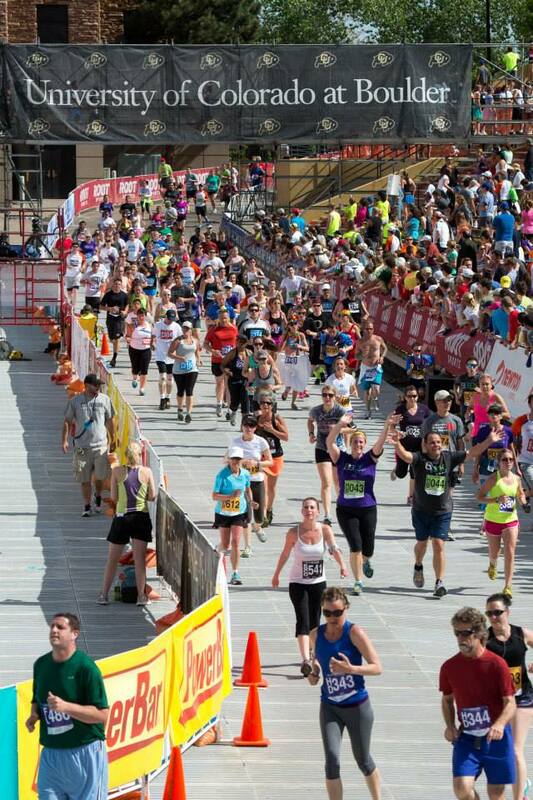 With a long standing history of over 40 years, the Portland Marathon has racked up awards such as “Top 10 First Timers Marathon” Runners World and “Best in the NorthWest” by City Sports. It was also one of the first eco-friendly races, something that more and more races are becoming aware of now. Produced with the help of 4500 volunteers in October every year, Portland in the Fall season is supposed to be just spectacular. This race also has a 1/2 marathon, 10k, and kid’s race. San Francisco has always been known for its colorful residents and this certainly rings true during the longest-standing continuously ran foot race in the world. This 102 year old race was recently bought by Wasserman Media Group and promises to retain its uniqueness with costumes and party-vibe. Its a point to point 12k that starts by the San Francisco Bay and heads west through the Golden Gate Park to the Great Highway where you reach the ocean. Sounds awesome and scenic (costumes and all). 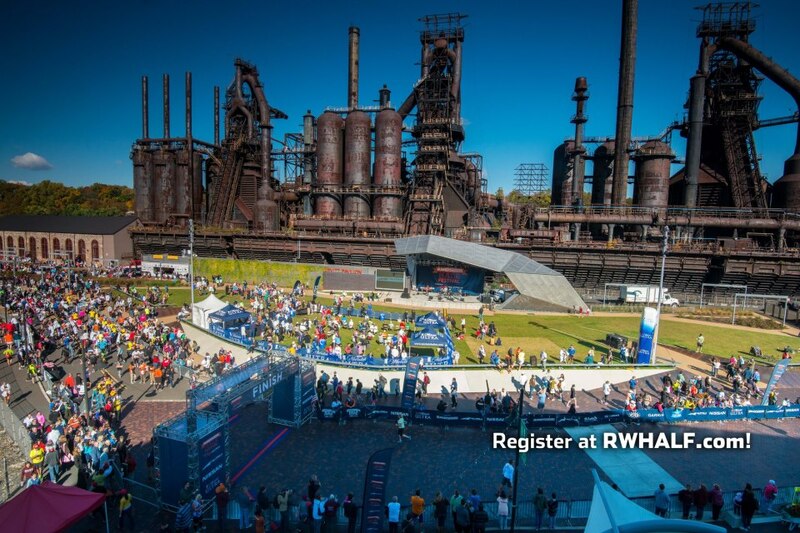 This year was the 2nd Annual Runner’s World Half and Festival hosted at their HQ in Bethlehem, PA. From what I heard read, participants loved this race as it was more than just a race but allowed people to learn about running, Runner’s World Magazine and enjoy the community of runners. Hosted by the editors of the popular magazine, you can be sure that the running community was catered to. I felt I needed a Disney race on the list as they are popular for a reason despite the hefty price tags that always accompany Disney races. 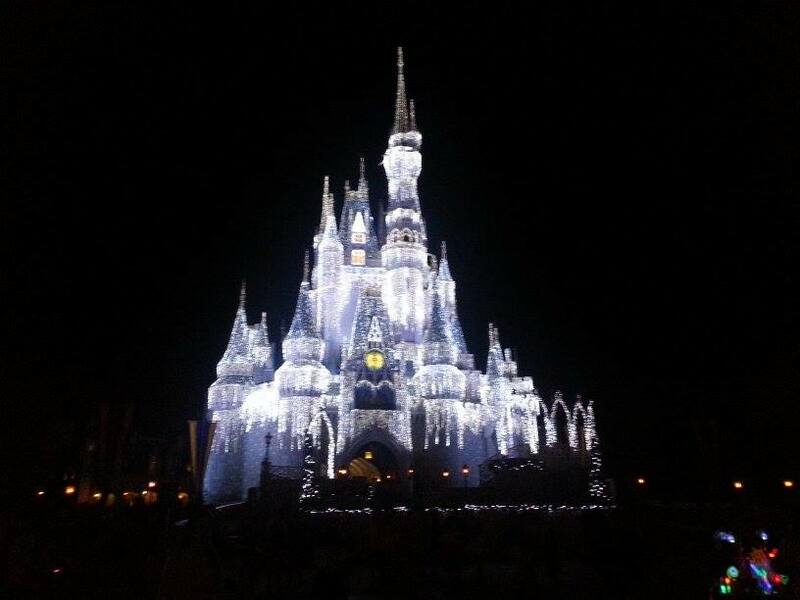 I’ve already done the Princess Half (1st 13.1!) and really don’t want to do the Disney Marathon so I chose the Disney Wine and Dine because it features night time running, food and wine afterwards and coincides with the Epcot Food and Wine Festival which is amazing. When they first announced this race, I really didn’t get the idea of running at night to have food afterwards because I never used to eat after running, now the story is a little different. Cheers! When I first met my long time friends from Boston, they were just returning from a run hosted by Harpoon Brewery and were getting ready to go back for the festival, which I enjoyed with them. It was certainly an interesting concept at the time but one that I couldn’t wrap my head around at that time. Well Northeastern-ers know what makes a good event! Running and Beer! Harpoon Brewery in Boston and Shipyard Brewery in Portland, Maine both host running events with a great after party. Harpoon hosts several running events throughout the year including one for Oktoberfest while Shipyard is the title sponsor for the Old Port Half Marathon in July. This was a hard list to narrow down to just 15 events as there are so many races to choose from! Now I want to know, what makes your Bucket List? !